Our next helpful article for those who are new to Windows Phone covers the People Hub - the one stop for all your social requirements when on the go. The People Hub, as the name suggests, is where all your contacts are available to communicate with. Upon launching the hub from the home screen (tile is present by default - a mosaic of randomly generated photos) you'll be presented with your profile summary with latest Facebook status or tweet (if not simply swipe to the right - we'll keep things simple and start from the contacts list). 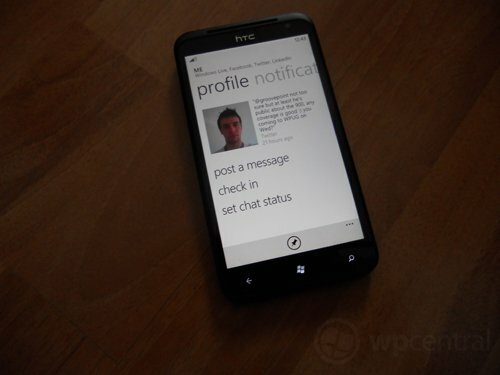 Underneath the Live ID photo and status is a list of synchronised contacts pulled down from your Windows Live account and any other account you have set up on your Windows Phone (Facebook, Outlook, Google, etc.). Settings can be manipulated to filter and show / hide friends from the various accounts (more on this in a second). Selecting a contact will display available details for Facebook, Twitter, LinkedIn as well as numbers, addresses and other miscellaneous information. You'll notice in the app bar is a "link" option, selecting this will show similar contacts which can then be merged to keep things neat and tidy should you have the same contact on both Live and Facebook (or even Twitter and LinkedIn as well). Swiping within a contact will reveal the "What's New?" pane, which is the RSS feed of social activity for that individual. Latest tweets, images, Facebook status updates and Live updates are located in this list. Swiping again moves us onto photos that are available on their Facebook and Live accounts. Photos can be downloaded, commented on, and applied as wallpapers - this is the beauty of how deep Windows Phone integration is. Last, and by no means least, we have the contact history. This pane lists all communications between yourself and that individual, whether it be SMS, email or previous phone calls. 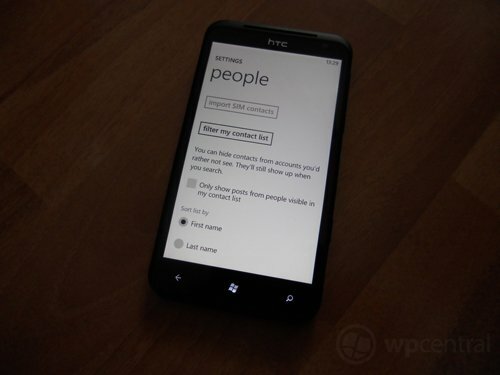 Moving back out of the contact view, let's take a look at the "Me" area of the People Hub. 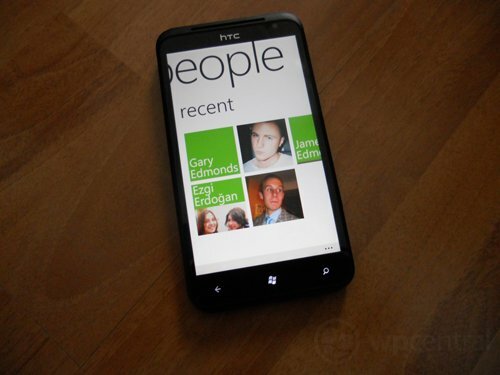 Selecting your photo at the top of the contact list will take you into your personalised Windows Phone social media HQ. The user is able to post messages to social networks; log into Messenger (and Facebook Chat); view Twitter, Facebook and LinkedIn notifications; and view your own "What's New?" 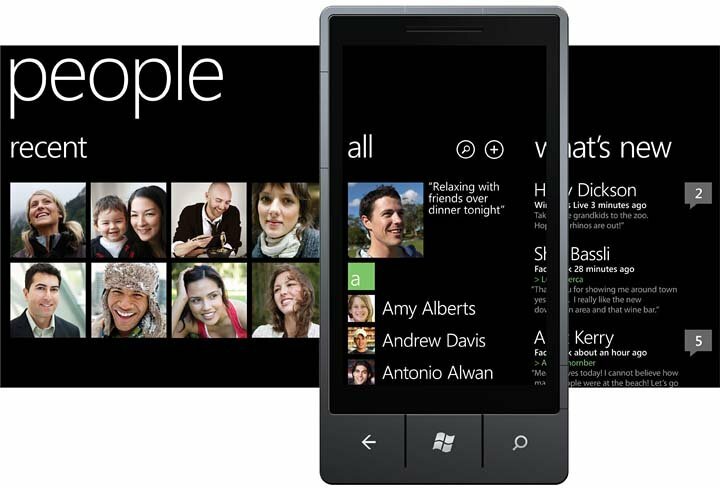 - which can also serve as an preview of how other Windows Phone users would see your social updates. As well as actually visiting your Me section of the People Hub, you can also pin a 'Me tile' to the home screen for more convenient access (check the pin option in the app bar). The "What's New?" pane in the People Hub is much like the individual news feeds within contacts, except this feed pulls down all updates for all your contacts and display them in one easier-to-digest location. As with contact specific news feeds in the hub, you're able to comment, 'like', retweet / reply, view photos, and more. What social networks are active in this feed is configurable, which is especially handy should you be a popular chap on Facebook for example. Next to "What's New?" is the recent section, which displays a number of contact tiles you've recently communicated with (or accessed through the hub itself). Think of the history list in the Music and Videos Hub, this section of the People Hub provides easy access (and viewing) of recent communications or activity. 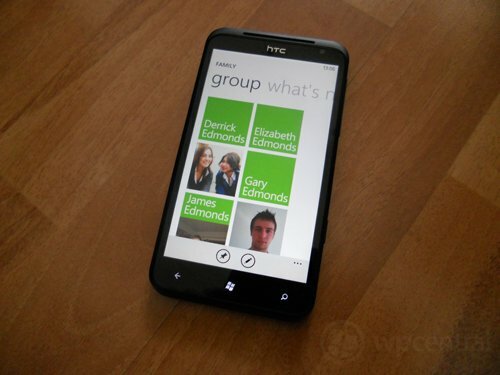 Another neat feature of Windows Phone is groups. Contacts can be sorted into easily accessible groups that are displayed above the contact list. In the photo above we have a "family" group with some contacts added. Selecting the group will list all the contacts added into the group as well as a "What's New?" pane that'll bring down the feeds for the group only. 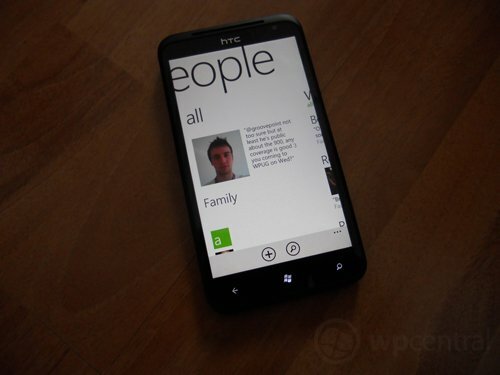 Groups can be pinned to the home screen, much like the Me tile, and act like the linked mailboxes with regards to convenience. 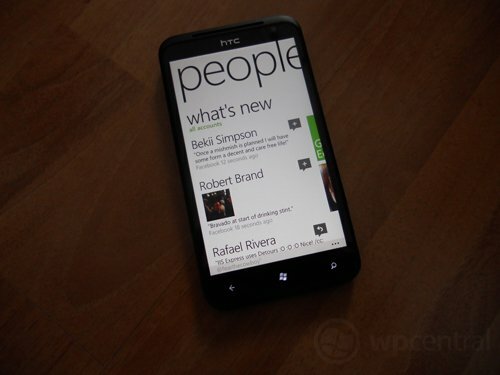 The People hub is the social gateway for Windows Phone users, and while it may appear to be relatively light in functionality, everything from social network feeds to groups and communication history is all fully integrated without the requirement for third-party apps on the Marketplace. Check out our quick look at the People Hub in the video below. Be sure to check out our other tutorials, including a guide for the Pictures Hub.